I have a very exciting announcement to make! 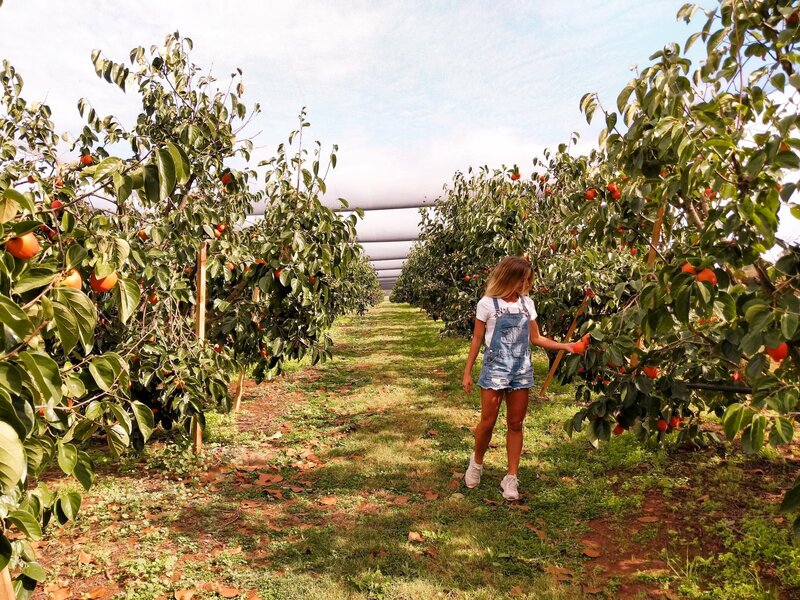 I’ve been selected to do some work with Persimmons Australia this year!!! Persimmons are a delicious, tropical fruit, packed full of essential nutrients to keep you healthy! 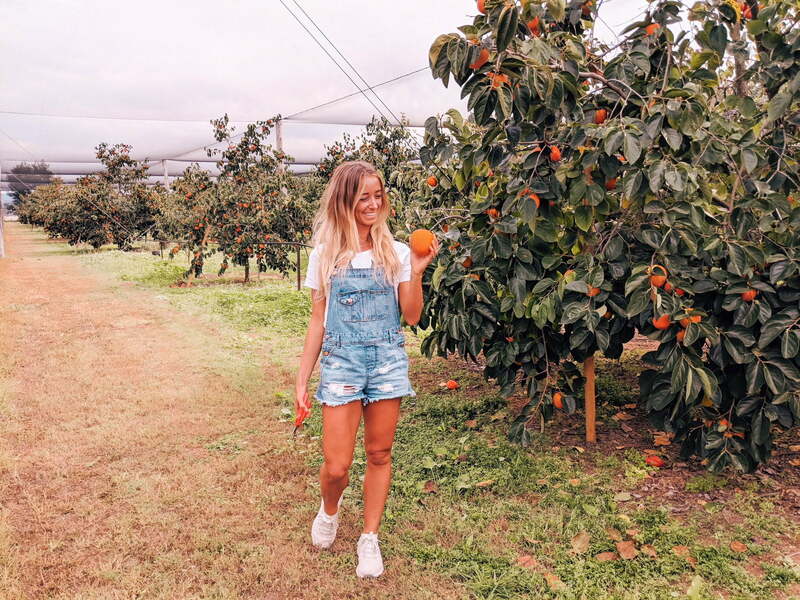 Persimmons are naturally low in calories & are a great way to skip the highly processed foods but still enjoy the sweetness of nature in a healthy form! 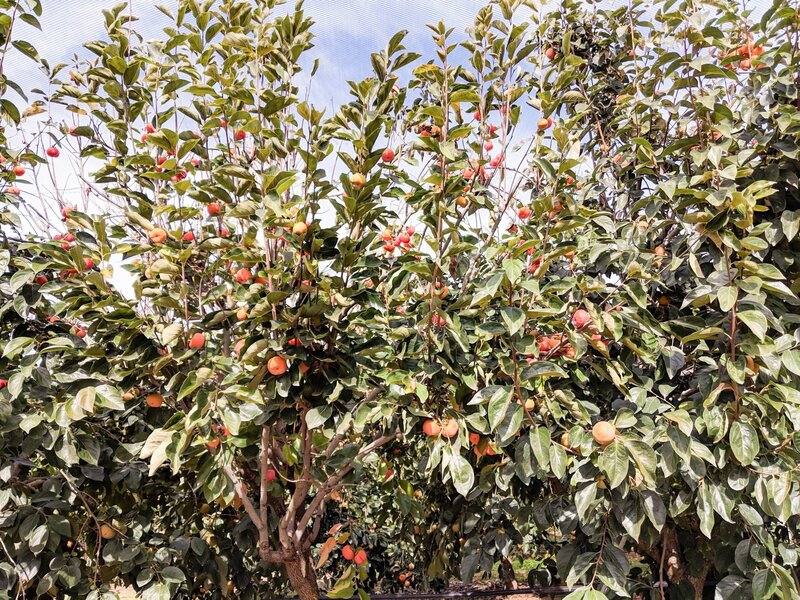 Picture taken at Kathleen Haven Persimmon Orchard on the beautiful tour lead by Persimmon Farmer Brett Guthrey. 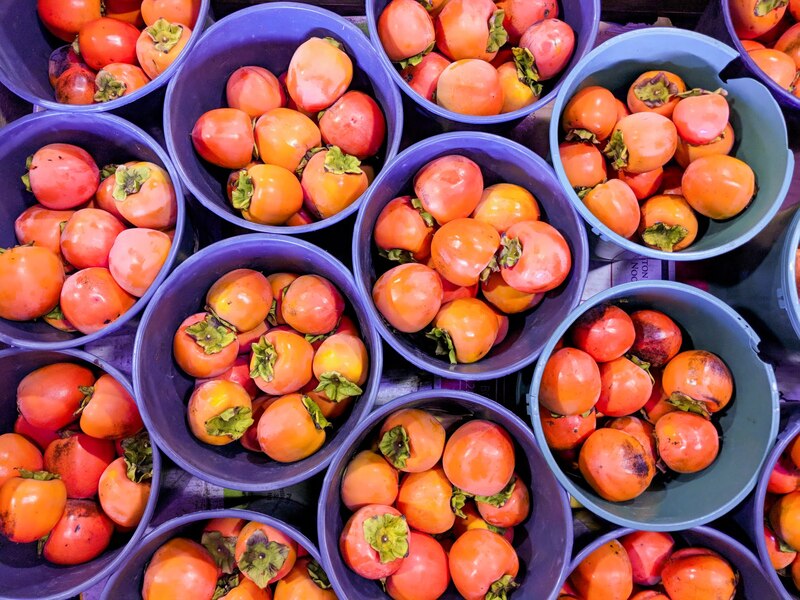 Hachiya Persimmons (aka the original persimmon) – these are a vibrant red-orange colour with a soft, juicy texture, similar to a mango. They are great for smoothies, desserts, baking or simply eating whole! The Hachiya are my personal favourite due to the deliciously sweet honey flavour and almost jelly-like texture. 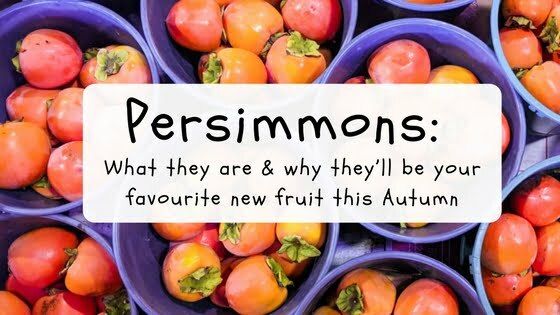 Fuyu Persimmons (aka the sweet persimmon) – these are pale orange and can be eaten crisp & crunchy like an apple; making them the perfect addition to your lunch box this autumn. Hachiya (the soft persimmons) need time to ripen before eating. Leave on your kitchen bench until they are very soft and juicy. Note that it doesn’t matter if there are small blemishes on the hachiya persimmons; they will still taste delicious. Fuyu (the crisp persimmons) can be eaten straight away with their crisp, apple like texture. Handy Hint – putting your persimmons in the fridge will actually cause them to deteriorate faster, so make sure you let them ripen on your bench. A good source of vitamin C, needed for the formation of connective tissues including our bones, blood vessels and skin. Vitamin C also helps non-haem iron absorption. Contain beta-carotene; a carotenoid and antioxidant that is converted into Vitamin A in our bodies needed for healthy skin, eyes and immune system. Great source of needed for healthy digestion and blood sugar control. 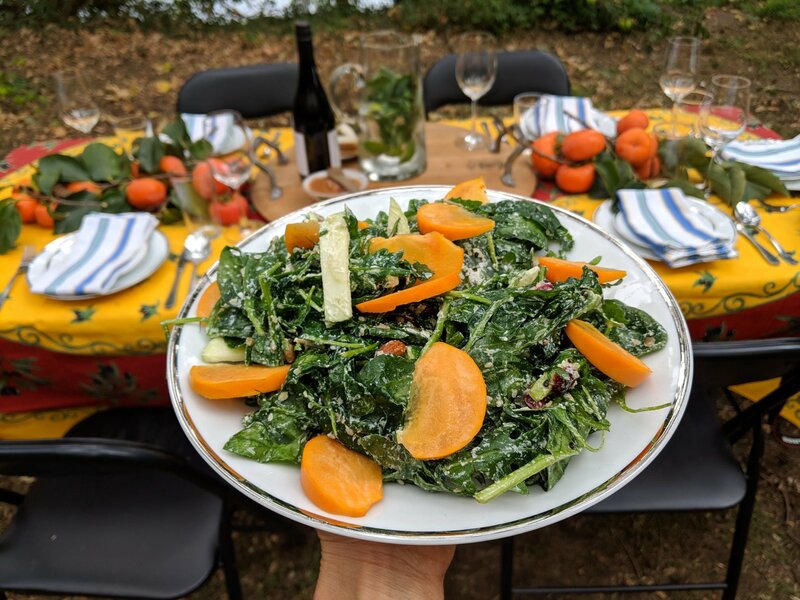 Slice a Fuyu Persimmon and add it to a salad with leafy greens, some toasted nuts and balsamic dressing. YUM! 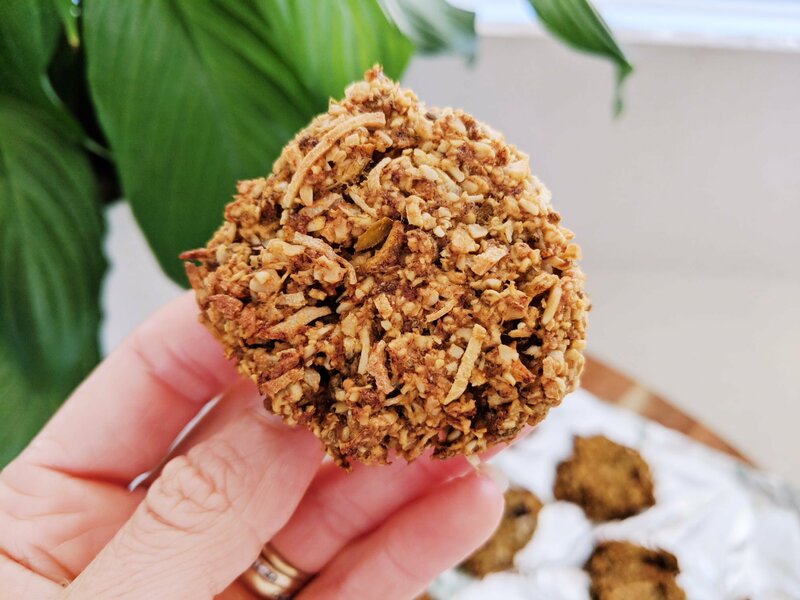 Bake into delicious desserts & snacks like my Chewy Persimmon Cookie recipe below. Place plain rolled oats in a blender and blend until flour forms. Add baking powder & cinnamon and blend. Scoop out into a large mixing bowl. Wash persimmon & slice off top stem. Place into blender with honey, oil & chia. Blend until combined & pour into dry mixture. Mix with a wooden spoon until combined. Add in coconut & sultanas. Mix until combined. Drop teaspoons full of the batter onto a baking tray & for 15 minutes or until desired texture is reached. Remove from oven & cool on a wire rack. Store in an airtight container. Editor’s Note: This post is proudly sponsored by Persimmons Australia & my recipe was adapted from this recipe. All views are my own and not influenced in any way. Persimmons can help improve your digestion. Persimmons can help ward off cancer. Sooooo yum. I’ve been getting these each year for a while now. So glad they’re becoming more common in the shops. Yiew! Hi Rebecca, my family and I love this fruit. Thank you for letting us know the nutritional value and the great recipes we can use. All the best, Gazza. Thanks Rebecca, I had no idea what these were or how to eat and cook with them. Will try this recipe, it looks so yummy and uses all the ingredients I love. Question – could you use coconut oil instead of the olive oil?